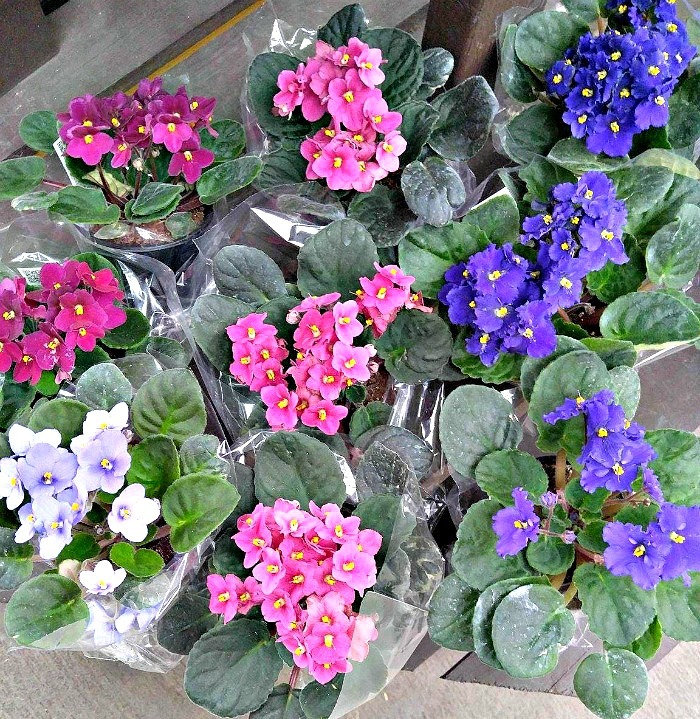 If you go to the big box hardware stores around the holidays and during the winter months, you will most likely find African Violets for sale in a lovely variety of flower colors. Even though African Violets can be somewhat picky about care, they are still one of the most popular indoor plants grown. 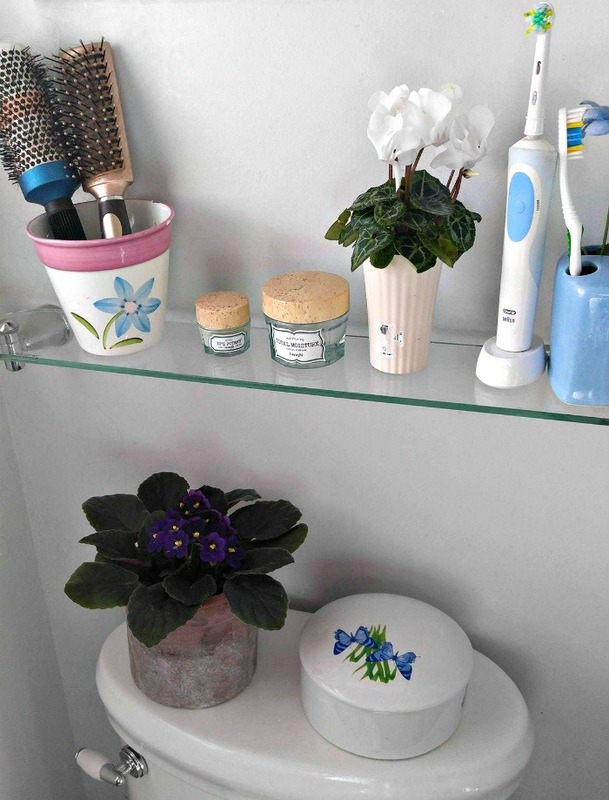 If you love to grow flowering indoor plants, Saintpaulia, commonly known as African violets, are one of the few houseplants that will continuously flower throughout the year. This is probably one of the reasons for their popularity. 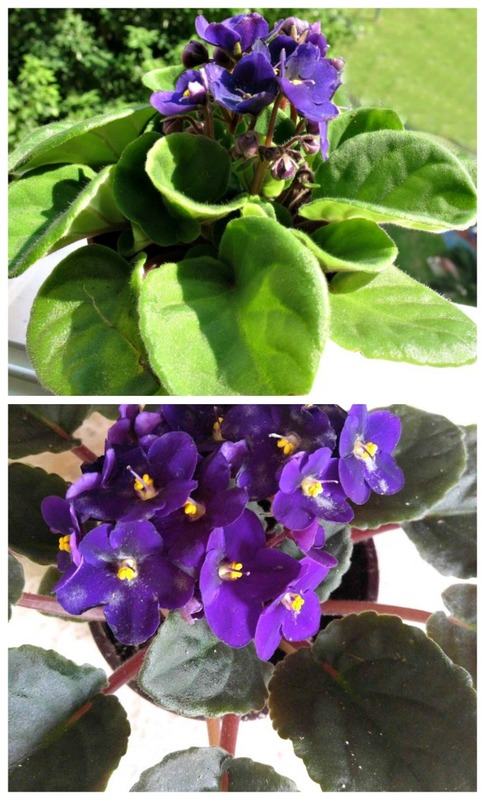 If you like to see flowers coming out in the spring, you will enjoy having an African violet or two as a house plant. African Violets are pretty and they are also pretty picky about certain things. 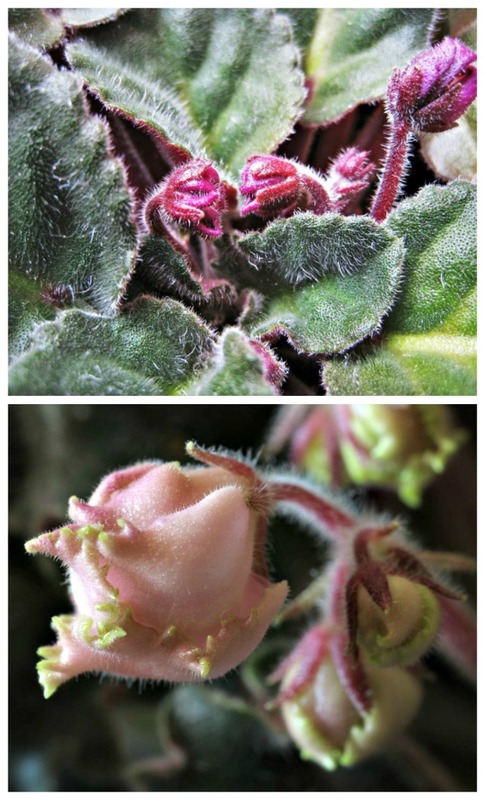 These tips will help to make sure that your African violet keeps flowering and does not end up with shriveled or waterlogged leaves. Saintpaulia is the botanical name for African violets. The name came when Baron Walter von Saint Paul-Illaire discovered the plant in Tanzania and brought seeds from it back to his father in Germany in 1892. The plant is part of a genus of 6–20 species that has been hybridized into thousands of varieties. Here are some tips on how to care for these lovely plants. Soil – African violets like a light, well draining soil. You can buy retail African Violet potting soil, or can make your own with equal parts of vermiculite, peat moss and perlite. Light – African violets do best in east or west facing windows. They typically like moderate, bright indoor light. Normally, they do not like direct sunlight, but you could move them to a south facing window for the winter months. To bloom best, they will require bright, indirect light for most of the day. Also, don’t forget to rotate the plant so that it gets even light. This will help it to grow well in all directions evenly. If you have lower light in your home, African Violets can still be grown with the help of an indoor grow light. Humidity – These pretty plants will complain if the air is too dry. Humidity is very important for keeping their leaves in the best condition. If your air is dry, consider growing them sitting on a tray of pebbles with water in the tray. Good air circulation is a must for maintaining the right humidity level. If you have a sunny spot in a bathroom, their humidity levels will be easier to maintain. Temperature – African violets like temperatures that range from 65 º to 75 º. Below 60 º and they won’t grow and flower well. Below 50 º and they will likely die. 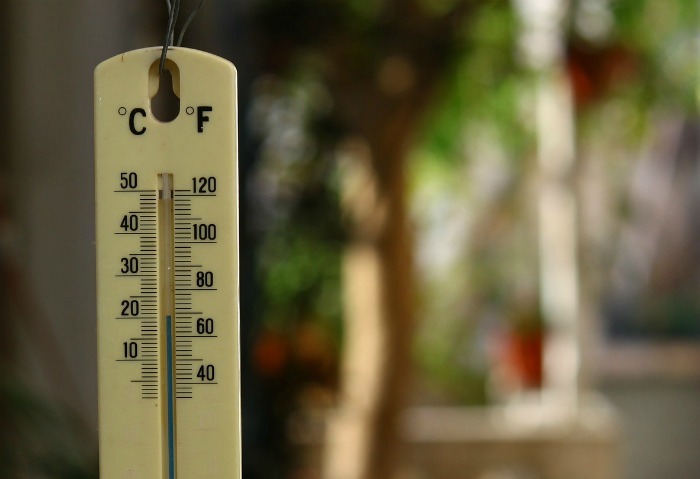 They can take temperatures higher than 75 º if their other requirements for water, humidity and fertilizing are met. Fertilization – Most flowering plants need fertilizing to continue flowering when they are grown in containers and African violets are no exception. There is a debate among growers on which works best. Some say that they like a food with roughly equal amounts of nitrogen, phosphorus and potassium. A standard mix is 14-12-14 for standard sized pots. Others seem to swear by a special African violet fertilizer with a higher Phosphorus number such as 8-14-9 that are said to promote extra blooms. Whichever you choose, follow the directions on the containter. Fertilizing either too rarely OR too often can result in a lack of blossoms. Moisture – like many indoor plants, African violets want even moisture. I like to test the soil with a finger tip. When it is dry about an inch down, I will water. 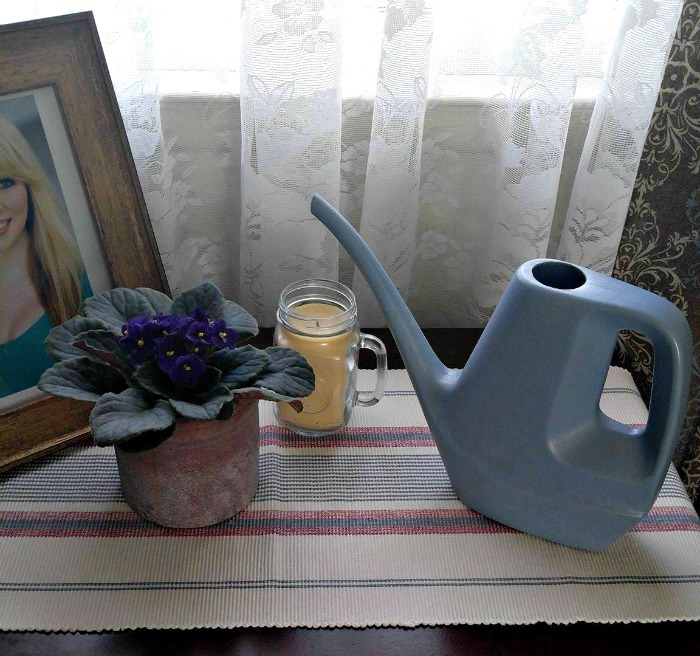 Both over and under watering can cause all sorts of problems with the plant. Try to use lukewarm water for best results. Leaves – African violets have a variety of shades of leaf color. The leaves have a velvety feel to them and are slightly hairy. The under side of the leaf is often a different color. African violets with darker green leaves require more sunlight than those with lighter green leaves. (For another house plant with velvety leaves, be sure to check out purple passion plant.) My African violet has dark purple flowers with dark green leaves. The under side of the leaf is a deep purple. Be careful to keep water droplets away from the leaves of the plants When you are watering, or you will end up with splotches on them, just as many hairy leaf plants will do. Propagation – You can get new plants for free by taking leaf cuttings of your African violets. This is the normal method of propagating them, but African violet seeds are also fairly easy to grow although they are often different from the parent plant if grown this way. African violets can also be propagated by dividing the crown of the original plant. This works well if it has started to outgrow its original pot. Colors – Many people think of the traditional purple African violet since this is closest to the color of a violet, but they come in many shades from red, white, pink, blue through to purple. Flowers – African Violet flower color is not the only thing that varies. The type of petal can vary too, from single (rimmed with white, or plain) to all sorts of ruffled and double varieties. Even the flower buds are lovely before they open! lack of blooms – check your fertilizer and sunlight. Temps too low can also mean no blooms. mealy bugs – inspect any new plants, use a cotton swab in alcohol for light infestations. Even though African violets are a bit picky about conditions and are susceptible to some common problems, the flowers that they produce all year long are good reasons to persevere in growing them. Have you had luck growing African violets? What problems did you find when you tried to grow them? I have an afician violet plant that has another attached to the bigger plant.I don’t if know if could cut that one-off without damaging the main plant. I have tall stalks and probably need to replant. How do I do this? Hi Michelle. The tall stalks sound more like the plant not getting enough light. If it were me, I’d take the plant out of the pot to see if it is pot bound. If not, I would trim off some of the taller stalks and try to root them as cuttings and move the plant closer to a light source. If the plant IS root bound you can plant it in a pot about 1/3 size larger at the same crown level. How can I get my violets to re-bloom again? I have about 5 or 6 of them at my office desk. They are all healthy but no flowers are coming back. Please help me out. Thanks! Hi Maria. 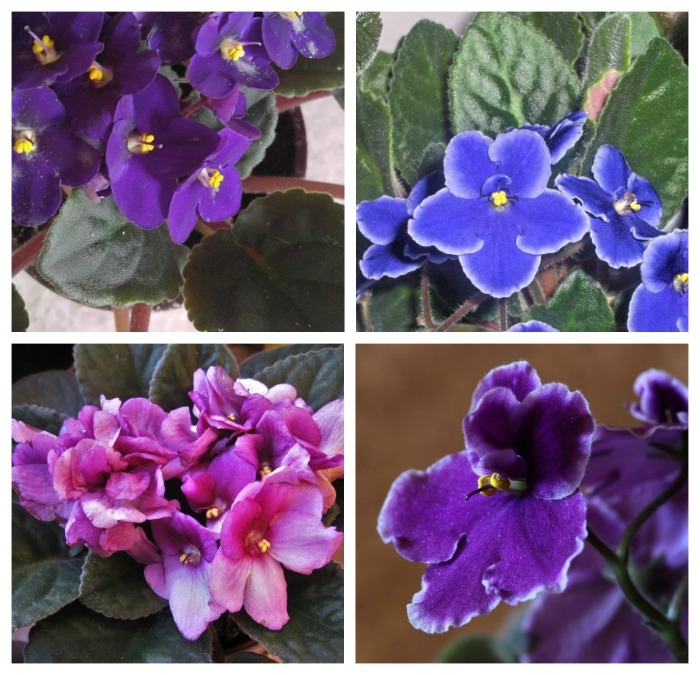 The normal cause of African violets not reblooming is lack of enough light. They prefer bright, indirect light. (lots of light in winter and filtered light in summer) Too little light will make the leaves stretch to whatever light there is. If you have them in an office, perhaps they are not getting enough? Another cause of no flowers is lack of humidity. Sitting them on trays of pebbles helps this. If you fertilize, use a low nitrogen, high phosphorous plant food. Hi I just saved a African violet plant from the store. But I have it on my window it don’t get bright light so put there . But do I report it soon or keep it in the pot it came from . It’s a small plant . Help I don’t know what kind of dirt to get or things to help it bloom .from Suzan in sanjose ca. I have 3 violets that I have had for 12 years at my work office. I want to bring them to my home. The lighting is perfect in my office. How will transitioning them to my home ( which will have north light instead of the east light) affect them??? I am stressed about this. Hi Missy. 12 years is a long time in one location. Normally moving them wouldn’t be any problem at all. They are reasonably forgiving about light. Northern light is very low light. What you might find is that they will grow but not flower too well. If it were me, I’d take some cuttings of them as well as bringing them home. The cuttings should grow and the plants will be accustomed to the new light situation. Then you’d have back up plants. Help! My African Violets are growing in a pyramid shape. I currently have them in a north facing window, which I now realize is not enough light for them. Underneath the plant there is like a column of dead “branches” What can I do to help them? They flower QUITE often – almost constantly actually, so I really don’t know what is going on with them. Hi Louella. It’s a bit hard to tell what is causing this. The plant could be pot bound. (If you take it out and it’s a mass of roots, you could put it in a larger pot to see if this helps. Another factor is likely the lack of light. Flowering plants like more light than a north facing window gives. I would remove all those dead leaves and repot it then place it in an east or west facing window to see if that helps. Hi! Isn’t there a way to propagate additional violets by sitting young plants in pots in a tray filled with water and rocks and using lamp wicks to draw even moisture into the plant from the tray? If this is so, could you expound? I have not heard of doing this, nor have I tried it so I can’t comment on how it would work.